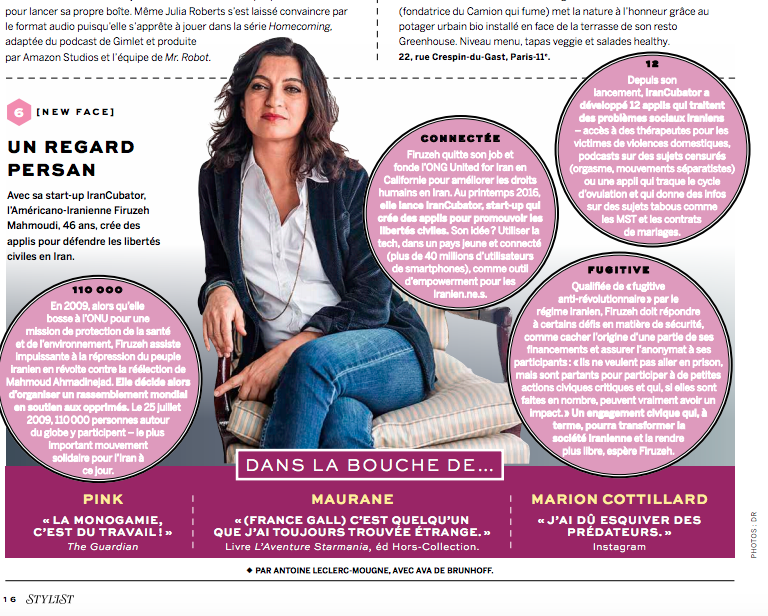 Firuzeh Mahmoudi, the Executive Director of United for Iran was chosen the Woman of the Week according to the Stylist Magazine from France. Be our guest and check it out the reasons why Firuzeh received this honored award. Do not hesitate in checking Stylist Magazine website for more information.